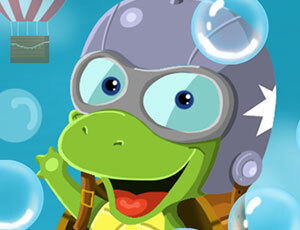 Another Tap based game for kids 'Flying turtle' . Collect 'bubbles' and 'watch' to increase time. Tap on left and right buttons to move the turtle as much as you tap the turtle go high So start TAPPING FAST! !